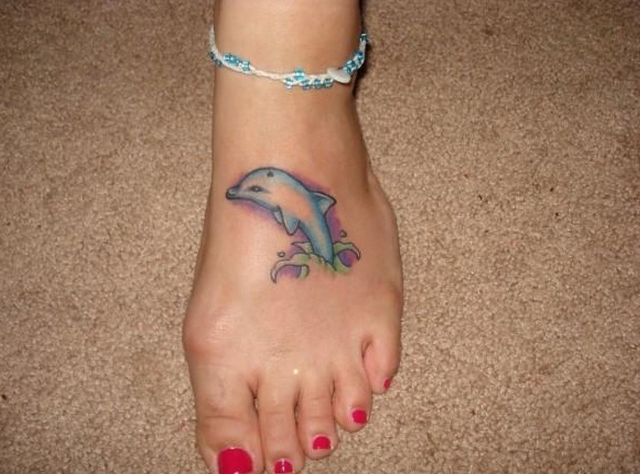 Dolphins are one creature that is universally liked. After all what is there not to like? They are cute to look at, they are fun to play with and they seem to have an intelligence that seems to suggest that they are indeed really wise. 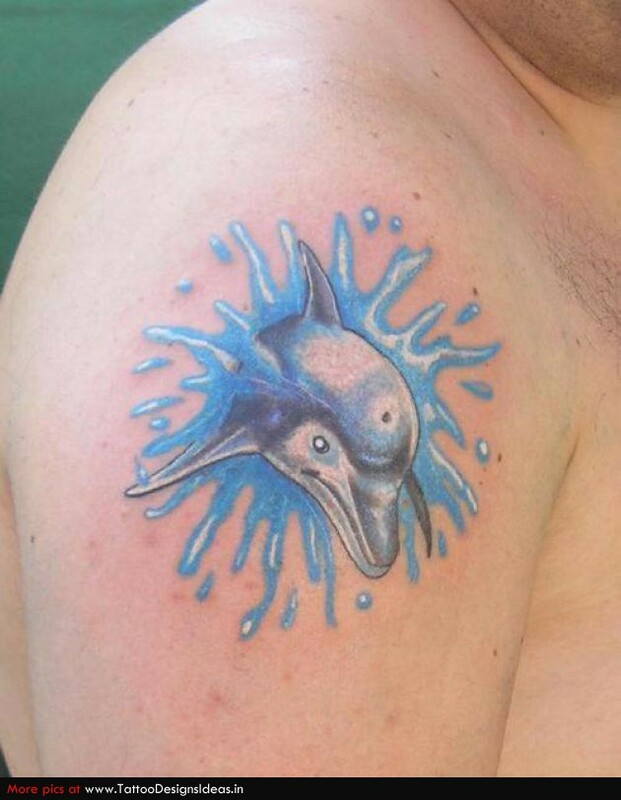 Science has proven that dolphins are indeed creatures that have a highly developed intelligence and anybody who has ventured deep into the ocean and spent any amount of time will vouch for this. 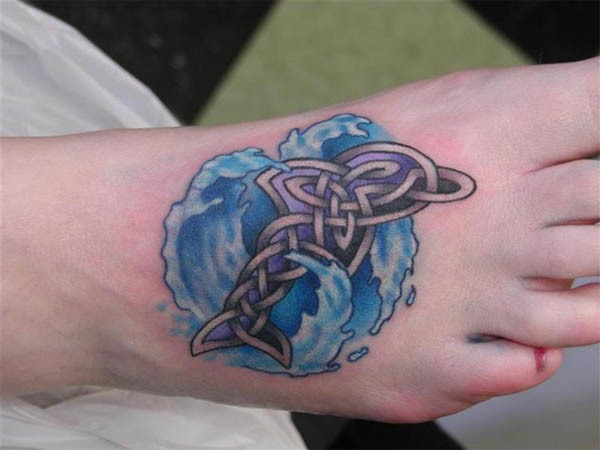 In the tattoo world, dolphin tattoo design ideas are quite popular not only due to their undeniably cute looks but also the qualities that they are supposed to have. Each culture endows these creatures with their own set of qualities. But the common thing that all cultures agree upon is that just looking at these friendly and smiling faced creatures is enough to cheer you and lift your spirits. They are seen as creatures that have many noble qualities. They are known to be helpful not only to the others in their pod but also fiercely protective of humans when they are in trouble. There have been tales of how lonely sailors on the see have been saved from sharks by dolphins. Dolphin stories abound like the other creatures of the sea. As these stories get told and retold the dolphins seem to take on divine qualities. 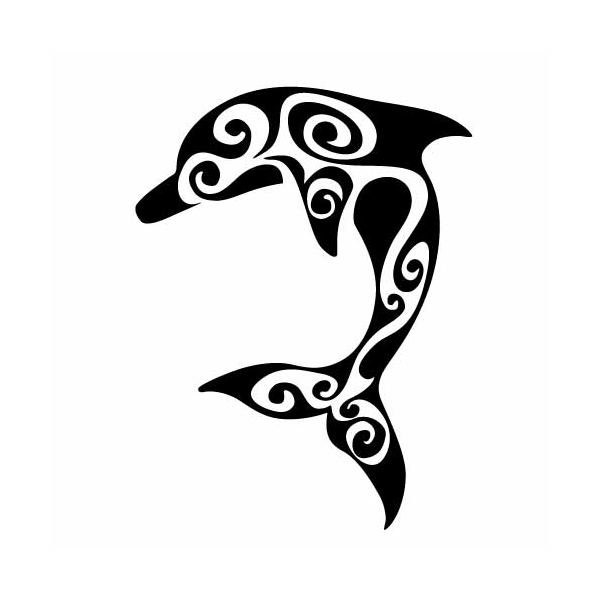 Celtic cultures believe that just by being in the waters that dolphins are in will make you feel at peace. They call it the cleansing of the soul. 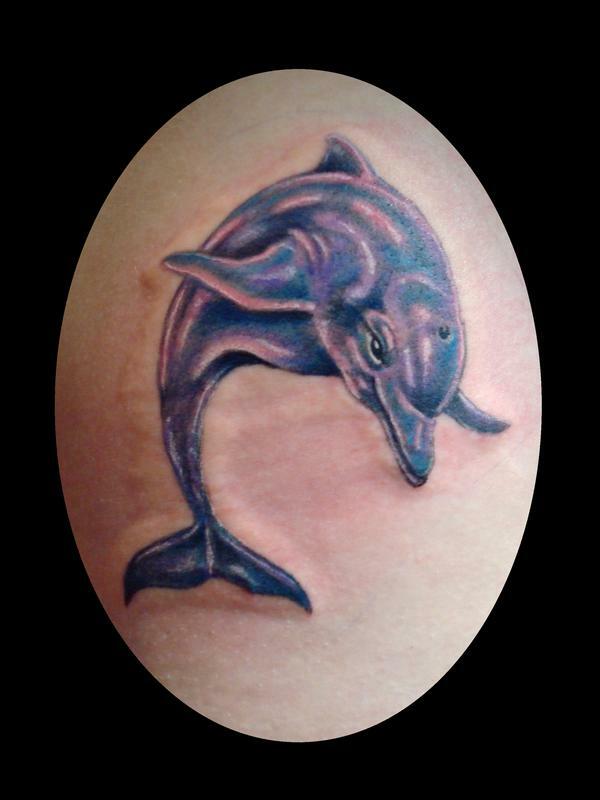 Dolphins are also associated with wealth and also seen as a force that guides us when we are in need of guidance. 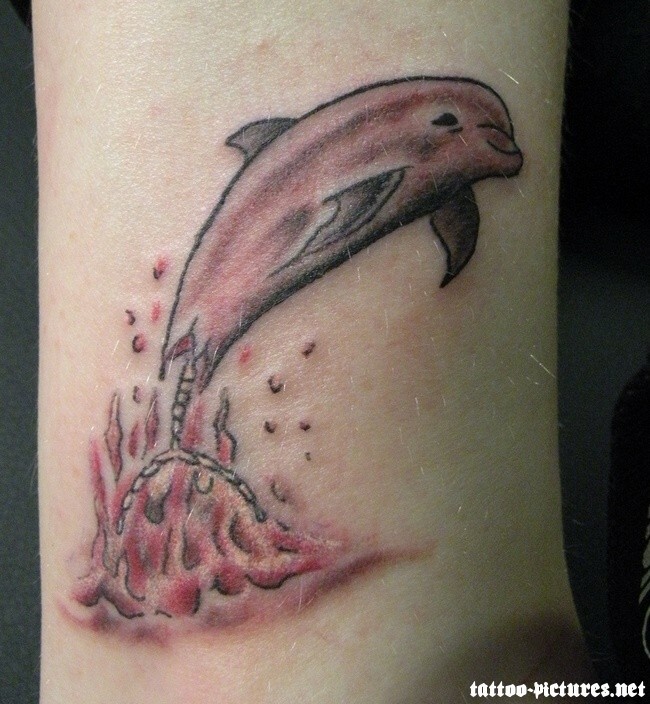 The dolphin is seen as something that is associated with reincarnation or rebirth. 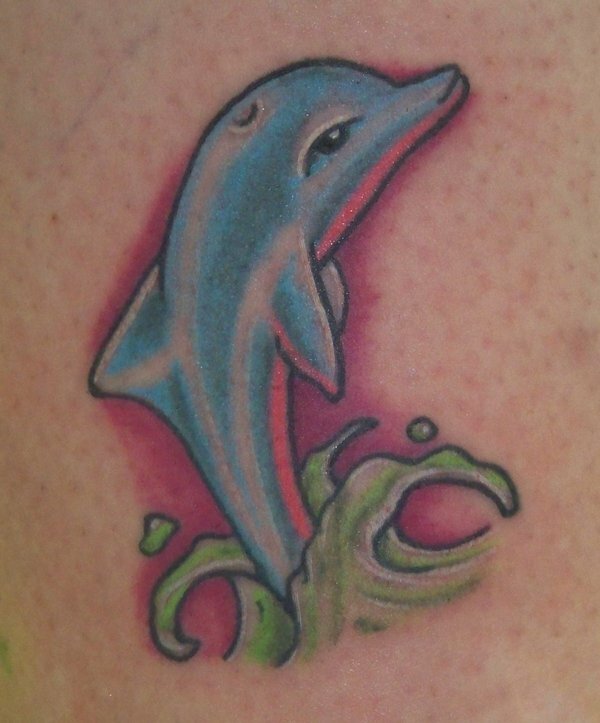 Often people who get a dolphin tattoo do so to show that they have made a new life or started an entirely new chapter in life. It goes without saying that since the oceans and seas are part of the dolphin’s home territory they also represent water. Some cultures see dolphins as being associated with Apollo the sun god and also Aphrodite who is the goddess symbolizing the moon. 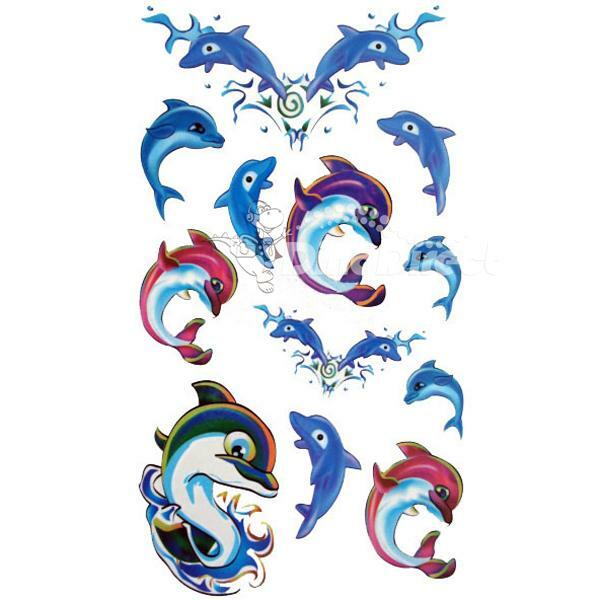 Thereby dolphin tattoos are supposed to show good things like intuition, smartness, good health, an affable nature, a chance to do things right the second time and dreams among myriad other such good omens and feelings. 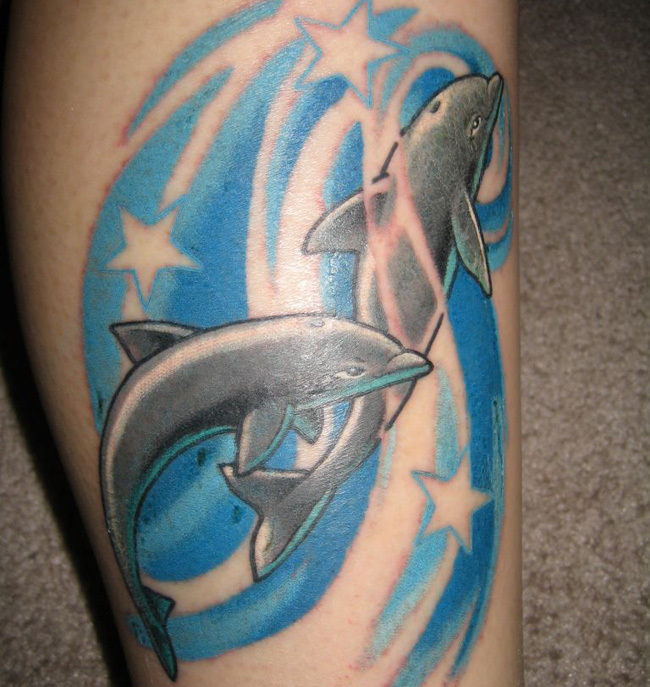 Dolphins also represent loyalty , a gentle nature and the power to renew oneself. It is a thing of beauty with a strong sense of family ties and community as has been by marine scientists in their studies of dolphins in their natural habitat. 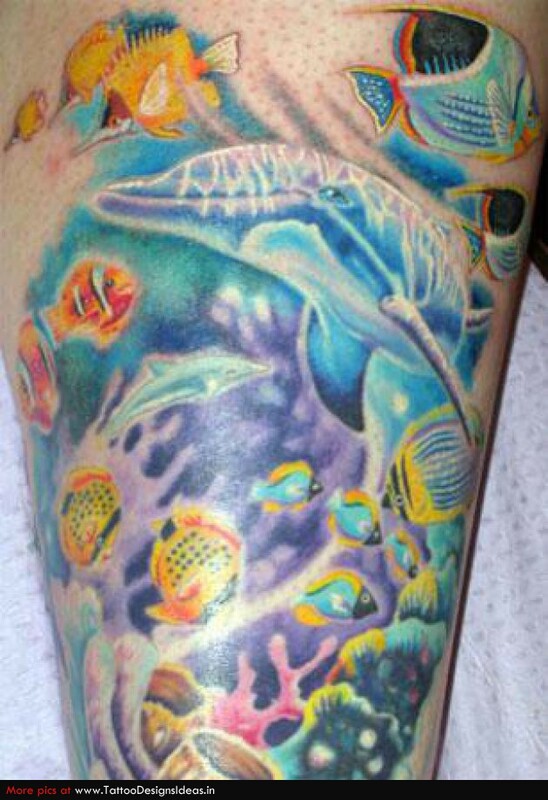 The Chinese believe that dolphin represents the Yin-Yang sense of balance on which the whole universe is based. 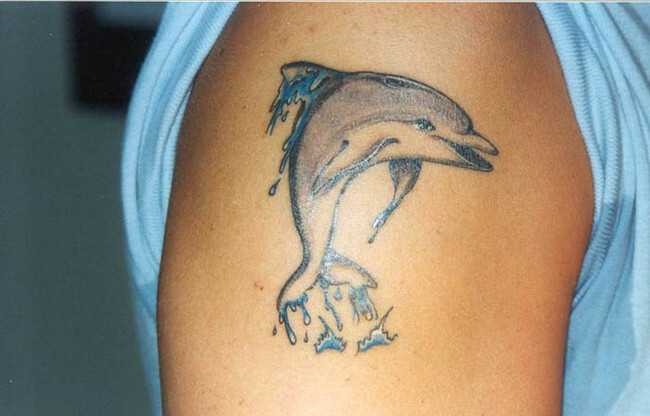 Plus when it comes to being used as a tattoo design, dolphins are remarkably flexible. You can put them in various poses along with many elements on any body part you want and in any size you want them to be in. 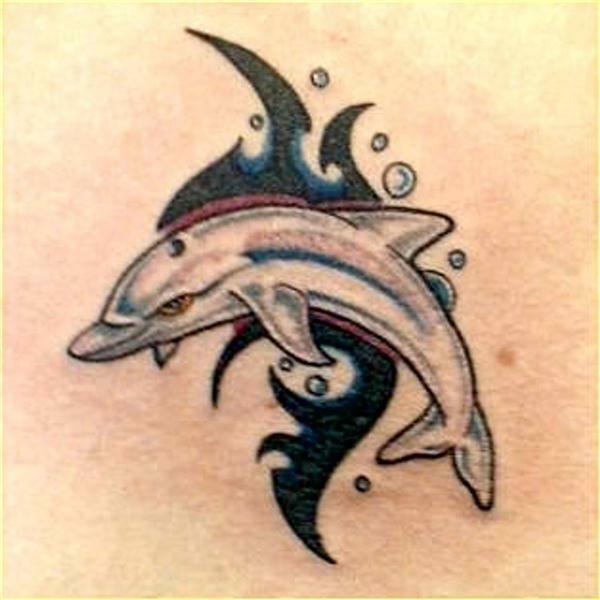 It has been seen that as matter of practice women tend to get dolphin tattoos done on shoulders, lower portion of the back, the ankle etc. 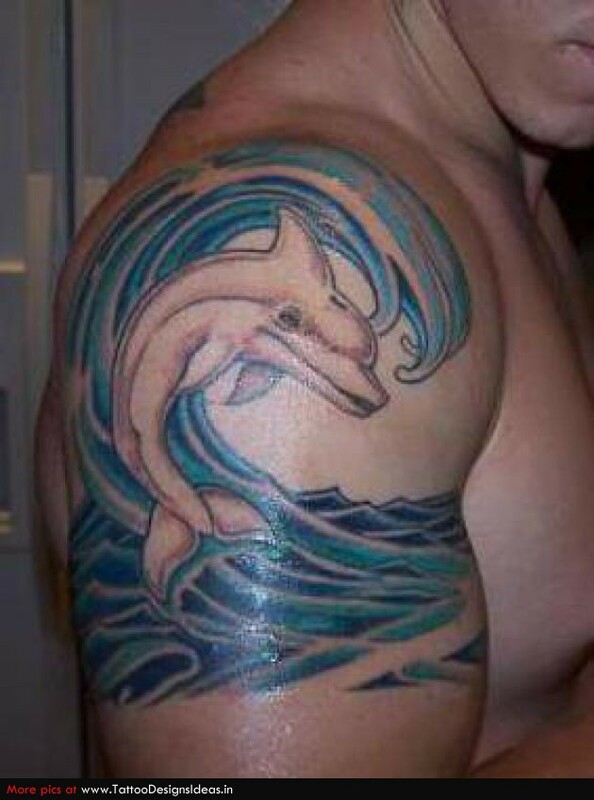 Men tend to go for the upper arm and more for the symbolic value as compared to women who go for the dolphin tattoo due to “cute” factor. 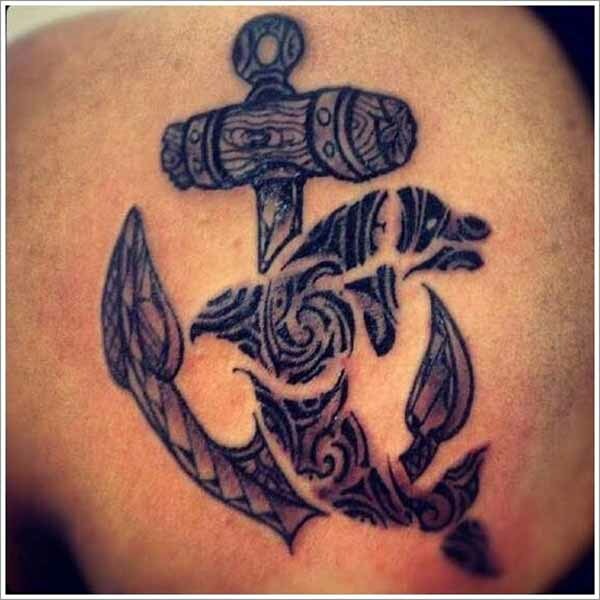 No matter what your reasoning and motivation is do think long and hard before committing to a tattoo. 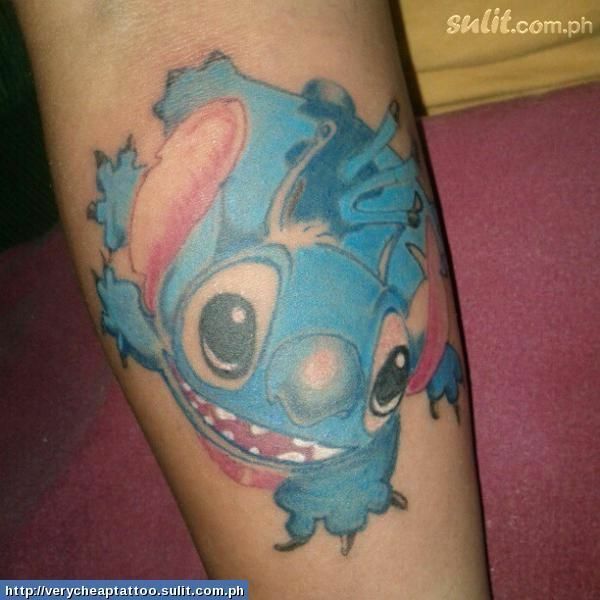 A tattoo is going to be a part of you forever and you need to acknowledge and understand this. Once you have done that think about your reasons for doing. Then you can start thinking about the design aspect at this stage.